Which major cities had the fastest runners at the 2011 Chicago Marathon? 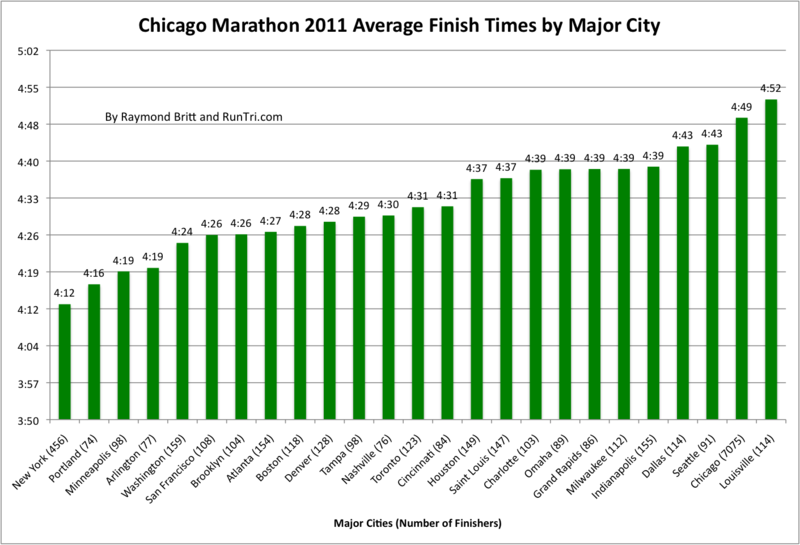 Of these 25 major cities with 10,000 runners (7,000 from Chicago), the Top 5 Fastest cities were New York City, Portland, Minneapolis, Arlington VA and Washington DC. 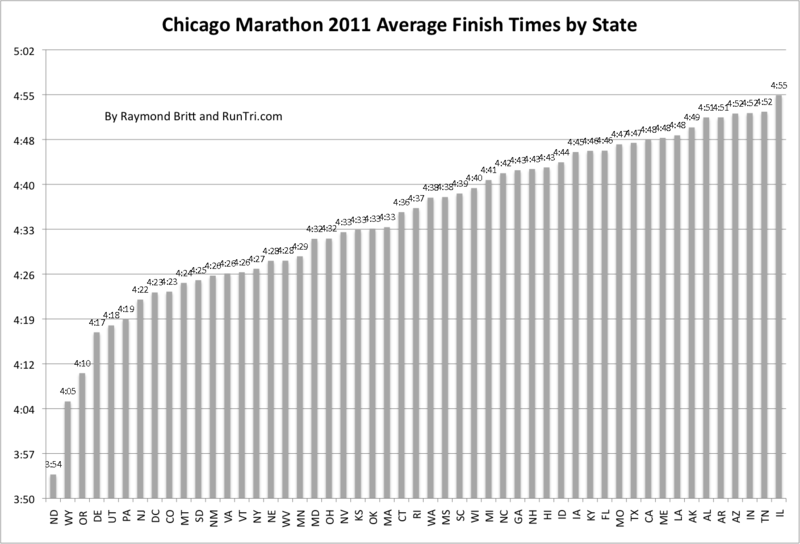 Notable mention goes to cities with many fewer finishers but impressive times, e.g., Annapolis (3:47), Philadelphia (4:07)and Anchorage (4:14). Which states were fastest? Slowest? Top 5 fastest states were North Dakota, Wyoming, Oregon, Delaware and Vermont. Slowest runners were from Tennessee, Indiana, Arizona, Arkansas and Alabama. The average time for Illinois was the slowest overall, but that is due, of course, to a significant number of first-time marathoners whose times skew results. Fastest City in the World? See our Interactive Global Map featuring finishers and average times for 6000 cities. For more, see our Complete Chicago Marathon Coverage.